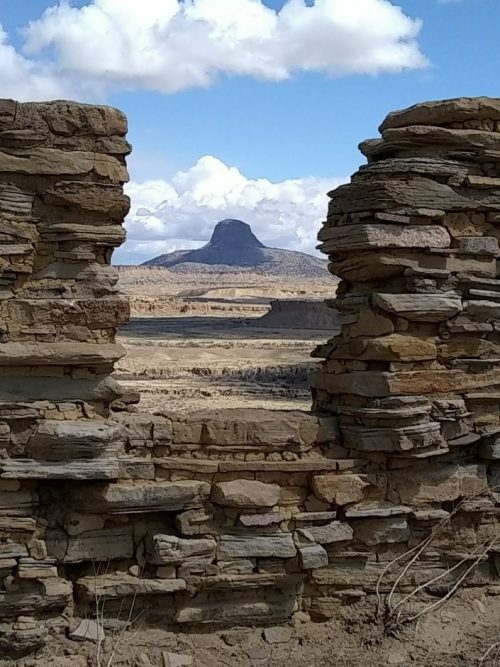 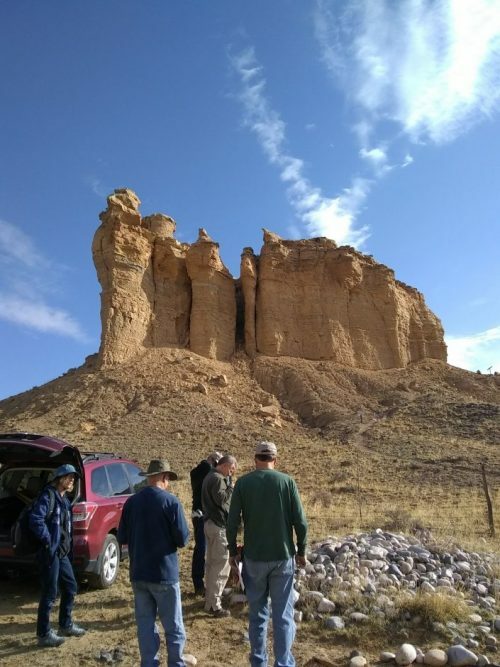 South of NM Hwy 550 between San Ysidro and Cuba, atop a narrow sandstone pedestal 200 feet high, lies the Guadalupe Ruin, the one eastern pueblo outlier of Chaco Canyon, occupied between AD 900 and 1000, and later occupied by Mesa Verde migrants. 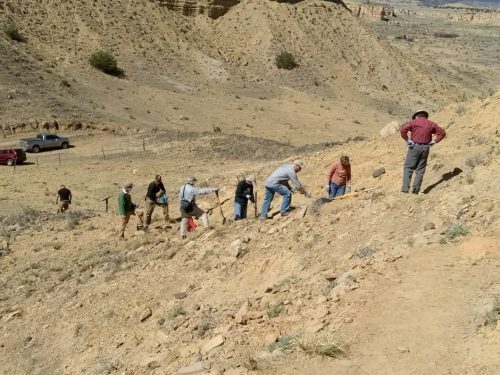 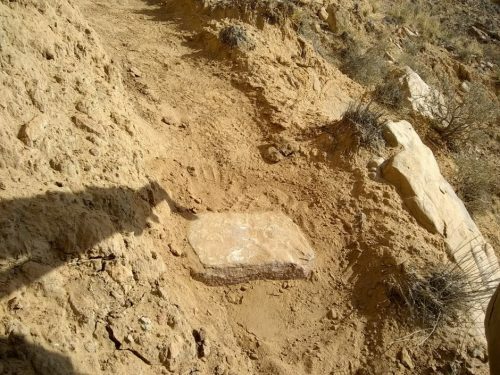 A dozen or so NMVFO volunteers, joined by BLM staff Jackie Leyba, placed sandstone blocks on the narrow steep trail to the summit, for better footing. 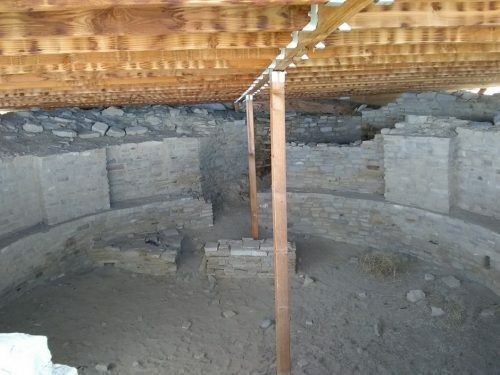 At the summit are remains of several ruins, and two excavated kivas now covered with metal roofs. 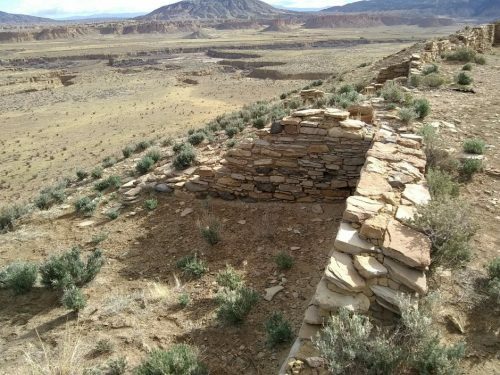 Several others kivas, still buried, are visible from the top, and pottery shards and matates and other remains are easy to find.